Recently, I found myself in front of a group of Christians fielding questions about the nature of Scripture—what the Bible is and why it matters. I was struck by how many of members of the crowd, though they believed and appreciated the Bible, really lacked sufficient grounding in the Holy Scriptures. They did not really grasp what the Bible is and why it matters. Do you? While most Americans grant the Bible unique status, and most churchgoers think of it—to some degree—as a book from God, confessional evangelicals believe the Bible is much more than that. We believe it is God’s Word. The Bible is unlike any other book – it is God’s written revelation to man. By it, we can know God and truly know ourselves. More importantly, by it we can know Christ and the way of salvation. The sad reality is that many who serve churches and fill pulpits do not believe the Scriptures, and the sadder reality is many who sit under their ministries are not equipped to detect it. Exactly how should we think of the Bible? In what way is it unique? How should Christians view the Bible? Let us look at five ways that helpfully describe the nature of Scripture. Drawn from II Timothy 3:16, where the Apostle Paul states “All Scripture is inspired of God”, inspiration literally means, “God breathed out the Holy Scriptures.” They come from his innermost being. Operationally, it means God superintended the authors of Scripture in such a way that the words themselves, not just the authors, were inspired. Inspiration is the most common and historic descriptor for the Bible, but it has proven to be an insufficient one. Historically, inspiration also implied truthfulness and authority and functioned as a catchall descriptor for the Bible as God’s Word. Liberal theologians commandeered the term and severed it from its original usage. Their practice of “using our vocabulary, but not our dictionary” left an insufficient doctrine of inspiration, where the authors—much like Shakespeare or Bach—might be inspired, but not the text itself. Confessing evangelicals understand inspiration to be both verbal and plenary. Verbal means the words—not just the author or the sentiments behind the words—are inspired, and plenary means all of the words of Scripture, not just a subset. Literally, each and every word of the Bible is fully inspired by God. As the word inspiration became insufficiently clear in the late 19th and early 20th centuries, “infallibility” entered the confessing church’s lexicon. Infallibility means the Word of God accomplishes all it intends and is incapable of error or untruth. Thus, the Bible is infallible. Now, in the 21st century, the most robust designation for the Bible is “inerrancy.” Inerrancy asserts the original autographs were without error, real or perceived. Inerrancy applies to the entire Bible, including scientific references and historical accounts. Though the Bible is not primarily a book of science or history, when it does reference such matters it does so truthfully. In its original usage, infallibility meant the Bible, in theory, could have no errors. Inerrancy means that the Bible has no errors. Inerrancy does not mean there are no challenging texts, apparent contradictions, or human mistakes in translation. Rather, it points all the way upstream and asserts that the Bible’s original sources and texts were error-free in every way. In fact, inerrancy holds up even in light of modern scholarship, when textual variants and other ambiguities of transmission are taken into consideration. Inerrancy became the delineating issue in the SBC controversy in the last quarter of the 20th century and remains the most defining and clarifying referent to the nature of Scripture. Inerrancy is built on the simple logic—if the Bible is errant at any point, it may be inaccurate at any point. For a more thorough explanation of the doctrine of inerrancy, consult the Chicago Statement on Biblical Inerrancy. As God’s revelation to man, the Bible comes with binding authority. 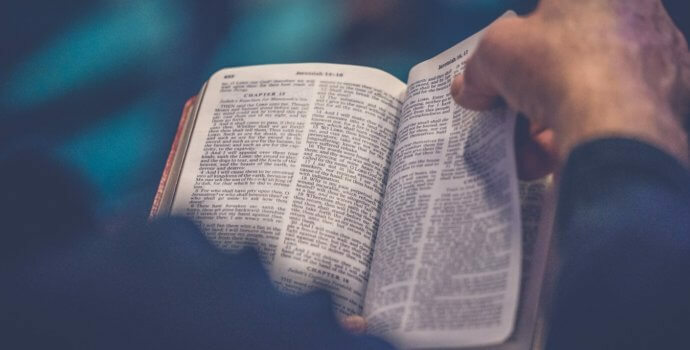 From how to live the Christian life, to doctrines we must embrace, to how the church should order itself, Holy Scripture is an authoritative Word, requiring Christians to obey. Therefore, everyone who hears these words of mine and acts on them, may be compared to a wise man who built his house on the rock. And the rain fell, and the floods came, and the winds blew and slammed against that house; and yet it did not fall, for it had been founded on the rock. Everyone who hears these words of mine and does not act on them, will be like a foolish man who built his house on the sand. The rain fell, and the floods came, and the winds blew and slammed against that house; and it fell—and great was its fall. Christians need not look to second blessings, mystical experiences, or other human authority. We have a more certain and more powerful word, the Word of God. Each one of these five aspects of God’s Word are interlinked and interdependent. They form five links in the chain of God’s revelation to man. Only an inspired book can be infallible and inerrant, and a book that owns these three strengths is authoritative and sufficient. The Bible is truly unlike any other book. It is God’s written self-disclosure to humanity. As such, we must read it, study it, teach it, and live it. This is the most concise and best summation of this topic I have ever read. Love it. This article is fascinating. To the point and clarity.